I've been collecting old stationary engines for four years now and have enjoyed every minute of the time I have spent restoring them to their former glory. I am a member of the Avon Valley Restoration group based in Northam, Western Australia which comprises five hundred members from Geraldton in the north through to Kalgoorlie in the east and south to Pingelly. Along with some friends from Pingelly we enjoy showing our engines at various Agricultural Shows and Fairs. I have included pictures of not only my own engines but those of each of my friends engines. I hope you enjoy what you see here and if you need any help or wish to find out more about our engines please feel free to email me and I will try to get a reply back to you as soon as I can. I have also set aside a section for engines I am currently restoring with a description of the parts I am looking for. I will be really grateful for any help you can give me. So have a look around and I hope you enjoy the time spent in my site. 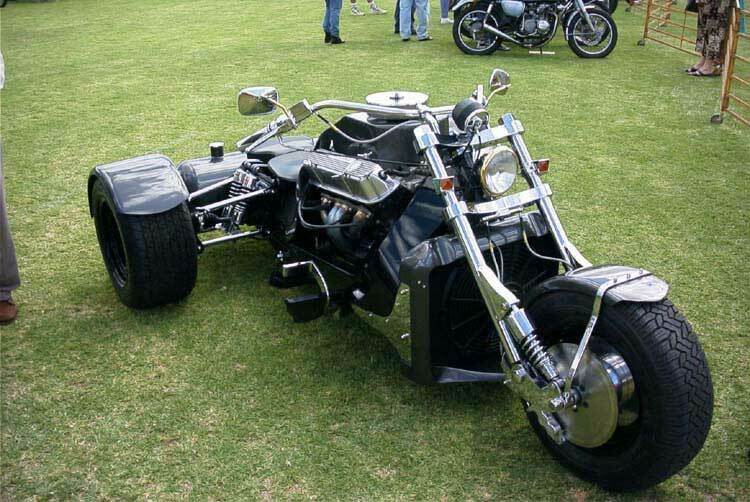 Check out this V8 Trike which has nothing to do with me but was on display at the recent Brookton Motor Show.